Posted on December 5, 2017 by Billy S.
Our most recent release provides format updates, Notification updates, style updates, and lots more. See what has changed and how to work with the new features. All formats can still use the Results Views and Results Labels, and can optionally be sent as a password link. The old ‘Secure Link’ format can be replicated by sending the Populated Form Link with a password. 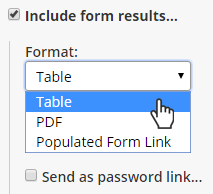 The ‘print’ and ‘PDF’ links have been removed in a few areas of the site, such as the individual result view and the Secure Link notification. Those functions are now much easier to use through the browser. Single page forms: Print a one-page form by viewing the form and using the browser’s print function by pressing ctrl+p (Windows) or cmd+p (Mac). 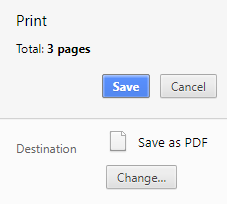 Also save forms and individual results as PDF files through the print function by selecting Save as PDF or selecting a PDF file as the print destination. Updates to the Workflow functions help streamline the creation of Workflows and assist with mapping. Workflow Links now contain the Workflow mapping settings. 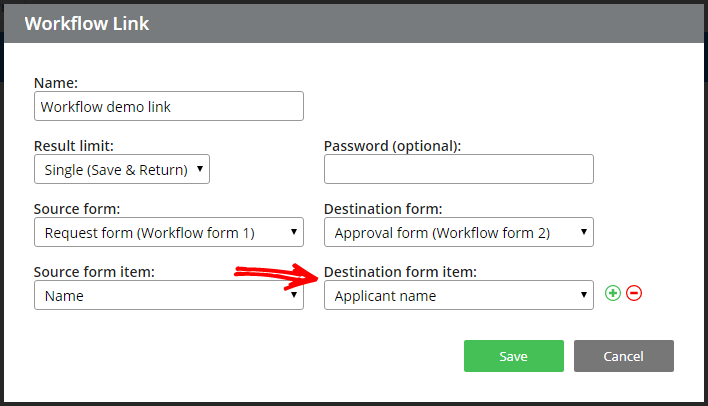 The previous Workflow item mappings exist within each applicable link. To view the link’s mappings, click the link’s Edit link and modify as needed. New Workflow documentation pages have also been added to help with the recent changes. This release includes new styling for the signup and login pages, the default Success Page, and error pages. The built-in Table format style also includes enhanced styling with larger text and a more readable layout. A security enhancement to our Salesforce integration is the inclusion of the OAuth features, which allows customers to authenticate their Salesforce account without divulging the specific account access information. As a follow-up to our Google social login, we’ve added the ability to create accounts and log in to Formsite accounts with Facebook authentication.